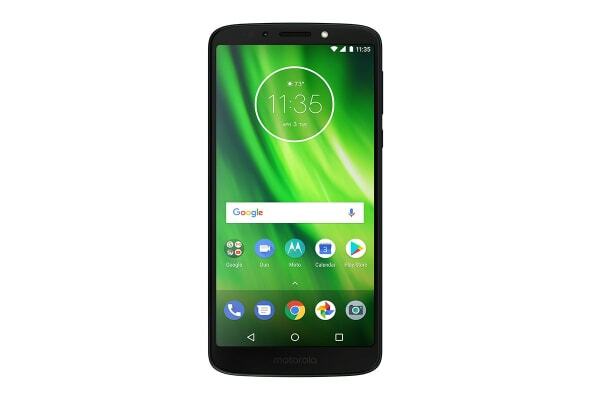 Watch videos on an edge-to-edge 5.7” HD+ Max Vision display with the Motorola Moto G6 Play. Capture great photos with a 13MP rapid-focus camera. Do it all fast on a 1.4GHz quad-core processor. 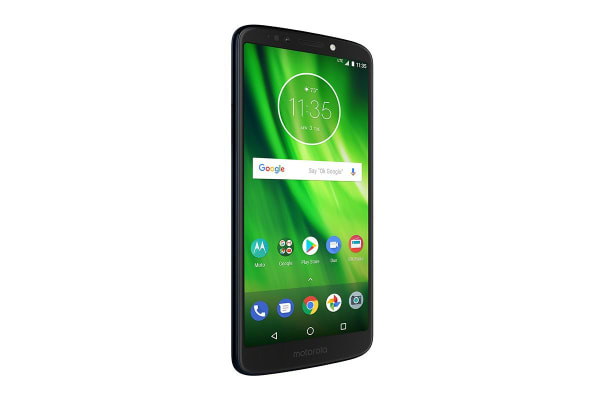 The Motorola Moto G6 Play is built to help you access features and content quickly, easily and securely, so you can have more peace of mind. The new 5.7” Max Vision display spans from edge-to-edge and still fits comfortably in your hand. The 18:9 aspect ratio gives you a much wider viewing area than traditional displays, so entertainment never looked better. The 13MP rear camera uses phase detection autofocus to focus fast, so you never miss a moment. Plus, you always get the best pictures – Moto G6 play automatically takes multiple shots and recommends the best one to keep. Not to mention, the 5MP front camera with LED flash includes beautification mode, which smoothes skin and reduces blemishes and wrinkles. Moto G6 play is backed by a speedy Qualcomm Snapdragon 1.4GHz quad-core processor and powerful graphics capabilities. Enjoy your favourite apps, games and videos without annoying lag or stuttering and browse the web or stream music at fast 4G speed. 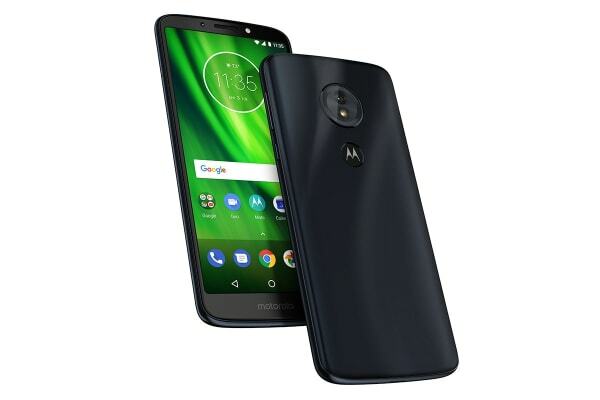 Moto G6 play sports a 3D glass back packed with light-reflecting particles, so it looks great from every angle. Best of all, a water-repellent coating helps protect the phone from accidental splashes or light rain. Use one long press on the fingerprint reader to lock and unlock your phone. Then swipe left to go back, swipe right to access recent apps or tap once to go home. Go up to 36 hours on a single charge, thanks to a 4000mAh battery. When it’s time to power up, don’t slow down. The 10W rapid charger gives you hours of power in just minutes.